It's that time of year, time to get ready for back to school! My youngest starts next week & my oldest starts in two weeks, they are both starting new classes this year & we are all excited & ready for our first day! I was recently introduced to two new lines that offer fun, exciting & colorful accessories for school! I was so excited when a lovely wrapped package arrived containing shoe accessories from Shwings as well as Bixbee backpacks for both of my children! At Shwings you will find over 150 styles of wings, like flames, lightening bolts, hearts & more along with their newest line Linx. 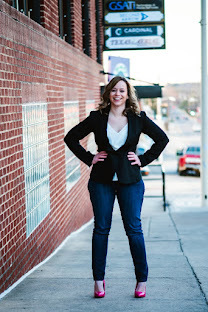 Shwings are great to add style, flare, fun & color to almost any & every shoe! Bixbee offers a great selection of backpacks, lunchboxes & accessories! From Flyers to Sparkle, even Shark Camo backpacks, your children will be sure to have the coolest backpack in class! My daughter was sent the "Sparkalicioius" Kids Glitter "Butterflyer" backpack & my son received the Animal Pack "Shark" backpack! 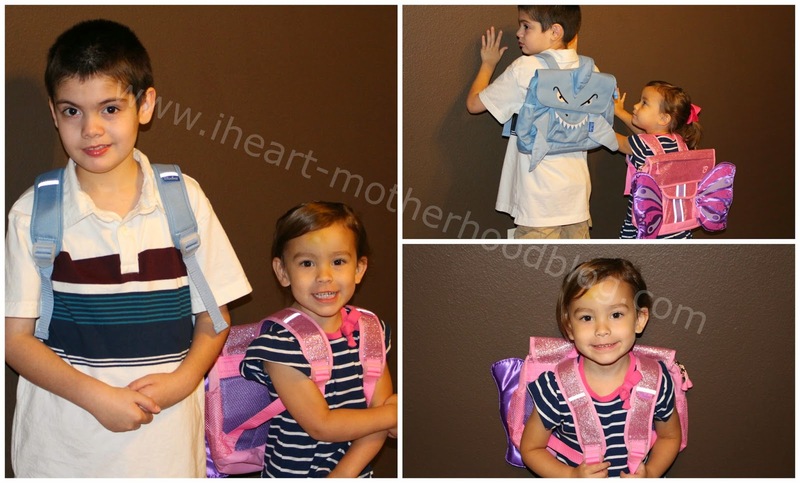 The backpacks are great, they offer plenty of room for school supplies, pockets & even have padded shoulder straps! I also love that Bixbee gives back, for every backpack purchase, they donate a backpack filled with school supplies to kids in Mae Hong Son in Thailand, pretty cool! The Shwings & Linx shoe accessories took just a few seconds to add to my children's shoes, my daughter loves the clip-on glittery mustache Shwings while the Reflective Yellow Wings look stylish on my son's shoes! Cute right? Which items would you love to have for back to school? 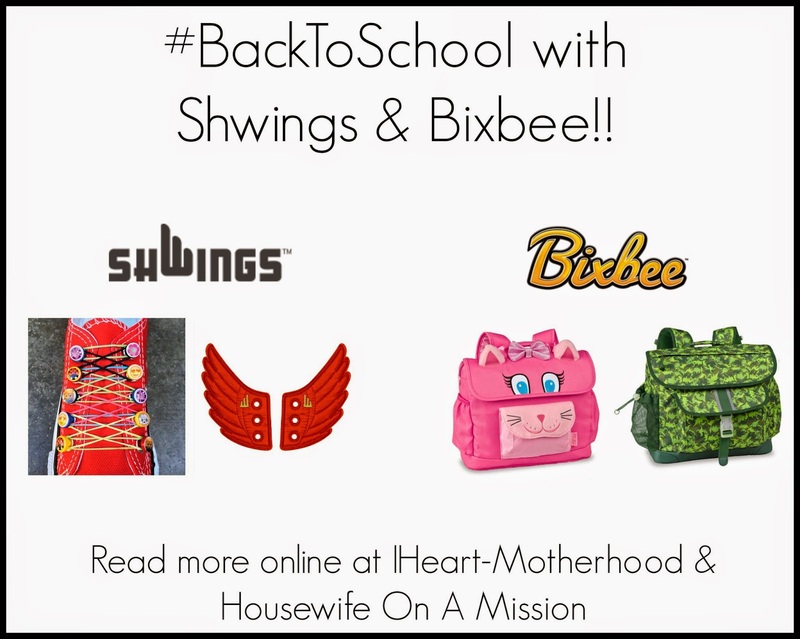 Buy it: Shop online at Shwings & Bixbee fun great back to school items! Win it: One lucky reader will win products from the Shwings line, a pair of Linxs & a set of Wings! Love the glow in the dark green butterflies they are so cute and I love them al. I think my son would like the black foil wings. I think my stepson would love the Mixed Post with Mixed Band. My daughter would love the Fuchsia Sparkle Hearts and Wings, and all of the butterfly ones! My son would probably love the mustaches! These are all adorable to me.